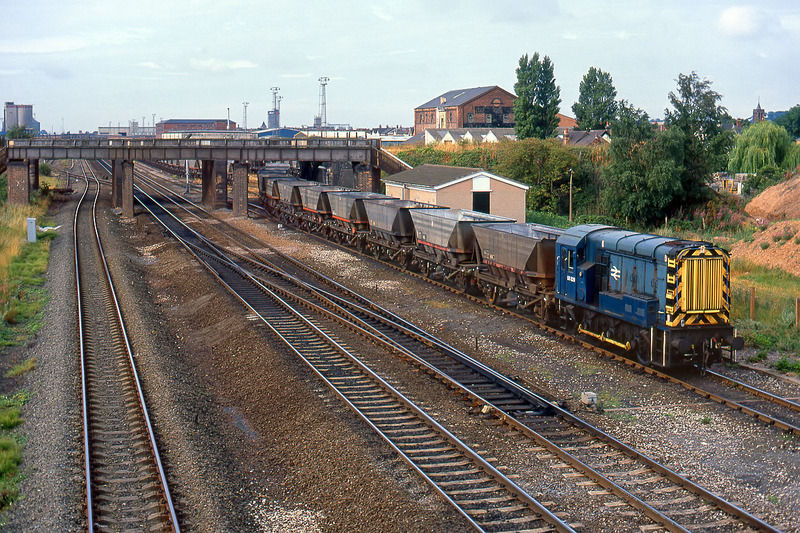 08829 shunts a rake of HAA coal wagons at Wetmore Sidings, Burton-on-Trent on 11 August 1990. The bridge in the background used to carry the North Staffordshire Railway line over the Midland Railway route in order to access their goods depot. 08829 was withdrawn in June 1993 and then spent over a decade in store at various locations before finally being cut up by the Harry Needle Railway Company in 2005.